At Eureka Pediatrics, we provide the highest quality of comprehensive pediatric care to your child from birth to age 18. Our compassionate physicians have experience treating infants, toddlers, school-age children, adolescents, and older teens. We understand the complexities of childhood health, as well as the emotional concerns that children often experience through the school years. We are dedicated to patient education, especially when it comes to disease prevention. Our goal is to give your child(ren) a lifetime of skills to stay healthy. We communicate with your kids based on their age and learning ability in a way that they can understand, empowering them to take control of their health. When it comes to illness and disease, we offer advanced diagnostic and treatments options of the usual pediatric conditions such as asthma and ear infections, as well as those less common such as type-1 diabetes. With same-day sick care and many on-site services, we get your child back on the road to wellness as soon as possible. Check your child’s vision and hearing. Watch for any signs of developmental delay or disability. Offer recommendations appropriate to your child’s age on nutrition, fitness, safety and injury prevention, and other wellness topics. Between the ages of 18 months and 3 years, we also perform the M-CHAT screening for autism. 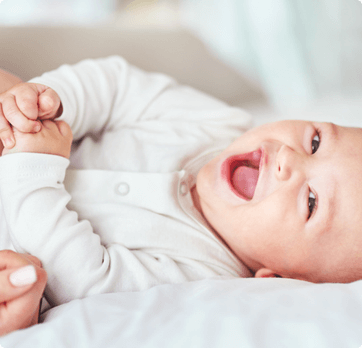 Please schedule regular visits with your pediatrician for the first two years of his or her life, during which your child is growing and developing so quickly. Once your child is three years old, checkups are required once a year. State newborn screening, weight check, lactation consultation. Our physicians provide services for ADD / ADHD, anxiety, depression, and asthma, however in some cases you may be referred to a specialist. Our pediatricians also provide injectable antibiotics, steroids, anti-emetics, and epinephrine as needed. In addition, we perform laceration repair, suture and staple removal, foreign body removal, and parent immunizations. We provide services for ADD / ADHD, anxiety, depression, and asthma. However, in some cases the patient may be referred to a specialist. If you’re expecting and looking for a pediatrician, we offer free consultations. One of our pediatricians will meet with you one on one to introduce you to our practice and answer any questions you might have. We personally visit newborns in the hospital setting to provide immediate care for your new bundle of joy. Our doctors provide ongoing infant care after you return home. We offer the following laboratory services at our offices. Same-day sick care appointments available! Our physicians and staff believe it is very important to provide same-day care for children that are sick and in need of being seen to provide the diagnosis and treatment. We want your child to feel better as soon as possible. We are dedicated to your child’s health. From the moment we meet you and your child for the first time until they reach adulthood, we will be there to help support your family through compassionate healthcare. Call for a consultation with one of our friendly Eureka pediatricians today at (636) 587-3000, or request an appointment online.